Regenbogenwein.de is tracked by us since January, 2014. Over the time it has been ranked as high as 18 064 499 in the world. It was owned by several entities, from Andrey Tereshkovets to Domain Administrator of Premium Registrations Sweden AB, it was hosted by NET-3, Team Internet AG and others. While was its first registrar, now it is moved to DENIC eG. Regenbogenwein has a mediocre Google pagerank and bad results in terms of Yandex topical citation index. We found that Regenbogenwein.de is poorly ‘socialized’ in respect to any social network. According to Siteadvisor and Google safe browsing analytics, Regenbogenwein.de is quite a safe domain with no visitor reviews. Regenbogenwein.de has no subdomains with considerable traffic. 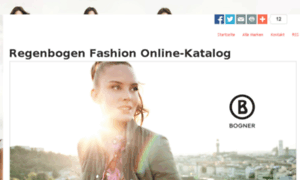 Regenbogenwein.de has Google PR 2 and its top keyword is "cardigan strickjacke regenbogen" with 1.30% of search traffic. Regenbogenwein.de domain is owned by Domain Administrator Premium Registrations Sweden AB. Regenbogenwein.de is hosted by Team Internet AG. Safety status of Regenbogenwein.de is described as follows: Google Safe Browsing reports its status as safe.